Tucked between U.S. 12 and U.S.20 not far east of Lake Street is one of Miller's little secrets, one of the oldest cemeteries in Lake County. Buried there is not only the 3-year old son of Miller's namesake, but also a few of Miller's early prominent residents like Dursilla Carr and William Westergren. It is also the final resting place of many heretofore unnamed victims of explosions at the Aetna Powder Plant buried in unmarked graves. "There were only three people buried on the hillside in the early years because the hill was on private land. It was not until 1882 that John V. Johnson deeded a 2-acre parcel of his land to Miller Station for use as a cemetery." 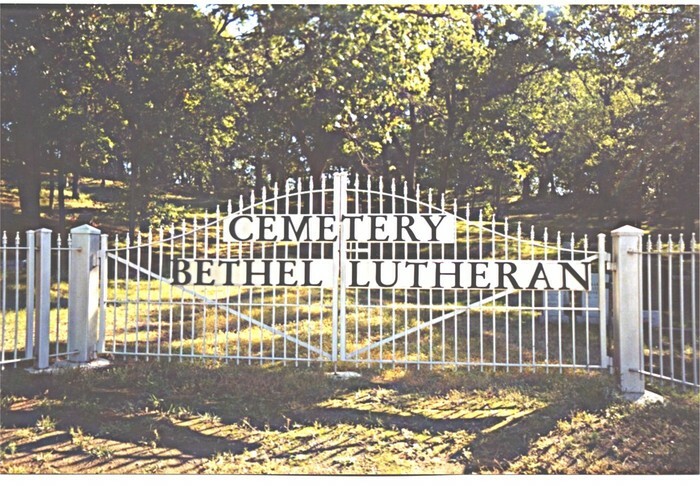 In 1919, with the annexation of Miller by the City of Gary, the cemetery became property of the City.In 1965 the church successfully petitioned the city to give it back to Bethel Lutheran. Unfortunately, there was never a register of burials; inventories were done by examining headstones, often broken or vandalized. A chapter of the D.A.R. did an inventory in 1957. The church's Cemetery Association did a map and inventory in 1976; the Northwest Indiana Genealogical Society compiled an inventory in 1999. With the advent of Find-a-Grave, it became possible for anyone to add memorials to the cemetery. Many people are buried in unmarked graves. These vary from previously unnamed explosion victims to people who died in Miller, sometimes vagrants, or, the chap who was found in the lagoon in 1908, never identified or cause of death determined; while there is really no evidence he is buried in the cemetery, it seems likely. It was in researching obituaries in the newspapers that I came across stories of unnamed individuals found along side the tracks. I've not collected those, but have discovered the names of 28 victims of 12 deadly explosions at the Aetna Powder Plant, 12 of whom are very definitely buried in the cemetery and 2 who are very likely buried there. "Interesting" to me anyway. I got curious about the large headstone for Rex Wood. I learned from his death certificate, and then his obituary that he was a publisher - a publisher of a journal about the game of checkers. His journal, distributed worldwide, was reporting and analyses upon a game which is much more intricate than I'd ever imagined. That led to the web page on Rex and his colleague, Walter Hellman, an Emerson graduate who even today is considered one of the best checkers players of all time. Both men were employed at U.S.Steel but were known around the world for their hobby, checkers. You can learn more about Rex and Walter at my page "Miller's Evangelist of Checkers"
Veterans. There are at least 14 veterans buried in the cemetery, from the Spanish-American War through the Korean conflict. Howard Matson was killed in Korea. The Matson family, members of Bethel Lutheran, was star-crossed. Besides losing the youngest son in Korea, the two older brothers died in rather horrible train accidents. The oldest is 94 year old John North, a Miller postmaster. The youngest only a day old. There is a sign in the cemetery, "In Memory of Aetna Powder Plant Explosion 1917" which is incorrect. There was no explosion in 1917, only a half-million dollar fire in which no one was injured. I hope to replace it with the names listed above. 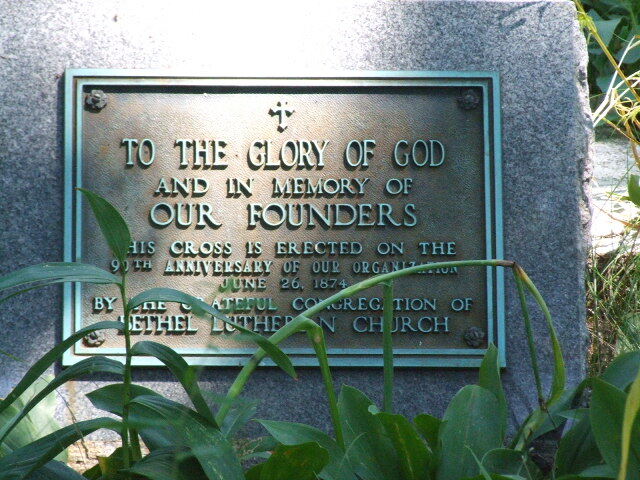 The lovely plaque at the base of the big white cross was stolen sometime in July or August of 2018. Sadly, there are a few other things missing from the cemetery. Inventories, including the latest one created by me are on another page.